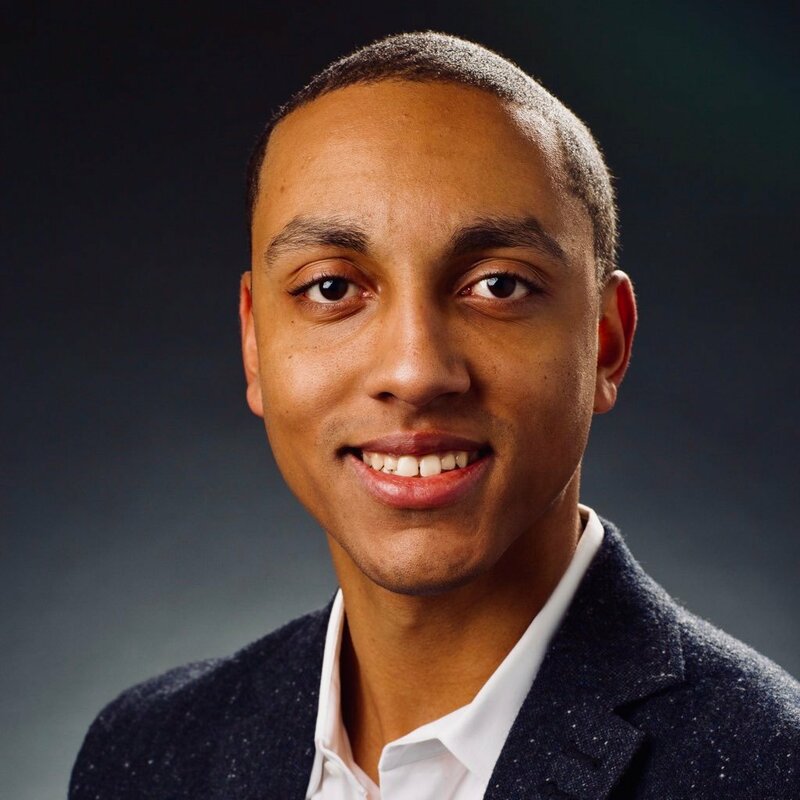 When Amir Browder was growing up on Capitol Hill, he did something that few of his classmates at Archbishop Carroll High School could relate to. He would spend his lunch money to buy issues of his favorite magazine, Arena Homme +, based in London. “It’s like the Bible of men’s fashion, at least five to ten years ahead of style trends,” he says. He didn’t know it then, but that biannual publication would soon be the inspiration for his own brand, Homme DC. Amir Browder, founder of Homme DC. Courtesy of Browder. 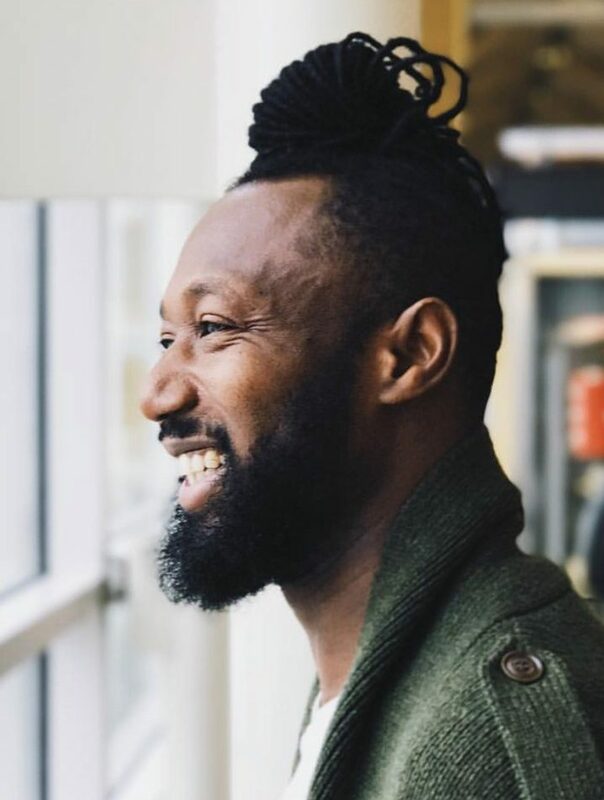 With his success in Anacostia, Browder wanted to move to a more central location and found 52 O Street Studios, home to a wide range of artists, designers, musicians, and writers. Sure, when he first toured the space in 2016, there were larger, pricier, spaces he considered. But on his way out of the building, he noticed a small, subterranean studio about the size of a dorm room and knew he’d found the one (“I walked in and said, ‘I’ll take it,’ and that was it.”) The space can only fit between 15 to 30 people, but the cramped quarters have become a catalyst for artists to network and exchange ideas. A year after moving to O Street, Browder’s boutique caught the attention of the retail managers at Reagan National Airport, and he opened a pop-up kiosk in Terminal C, selling luxury clothing and accessories to travelers. He was working 13-hour shifts, seven days a week for nine months. 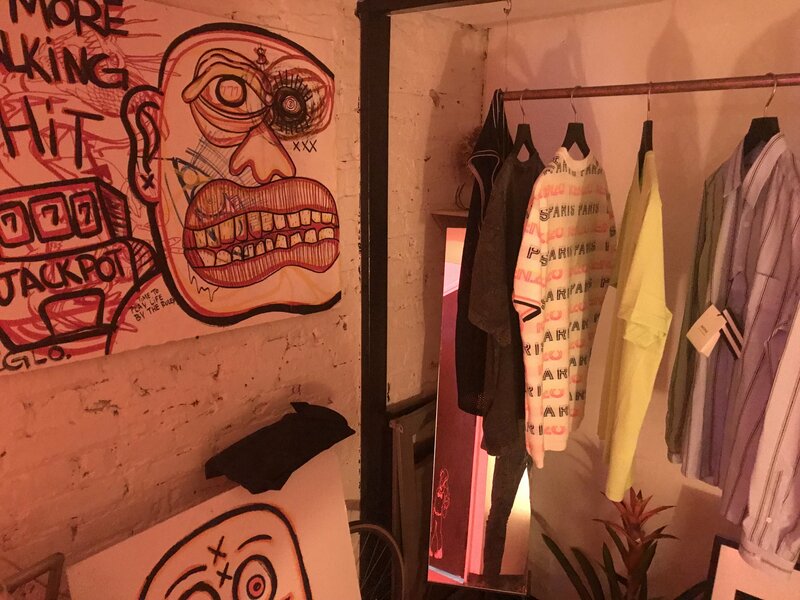 Now that his kiosk is closed, Browder can focus completely on the studio, where he showcases clothing from DC designers next to globally-recognized brands like Kenzo, Off-White, and AMI Paris. Browder has plans to renovate the interior of the studio. But for now, he’s just happy if you stop in for a drink, take a photo for your Instagram, and pick up a piece of clothing from a local designer. Homme DC, 52 O Street, NW, 202-750-4736; Available by appointment or during events. 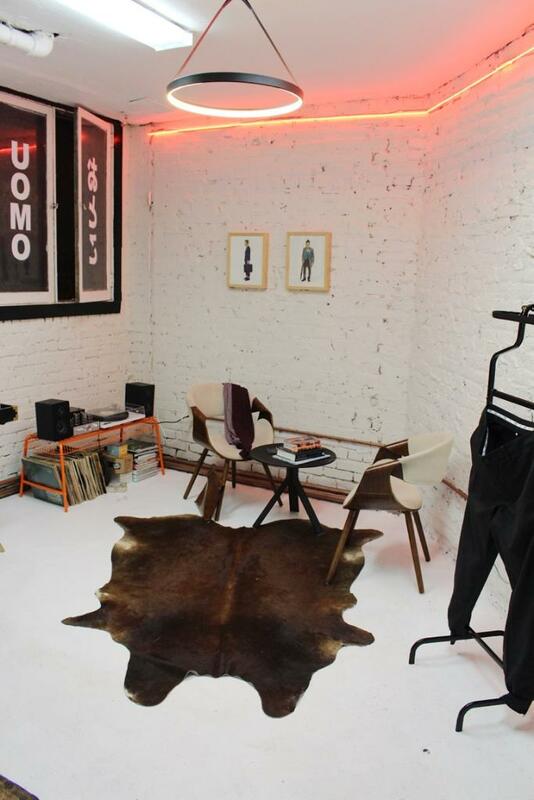 Art and clothing on display at Homme DC.